With a stay at The Wellington Apartment Hotel, you'll be centrally located in East Brisbane, within a 5-minute drive of Kangaroo Point Cliffs and Story Bridge. 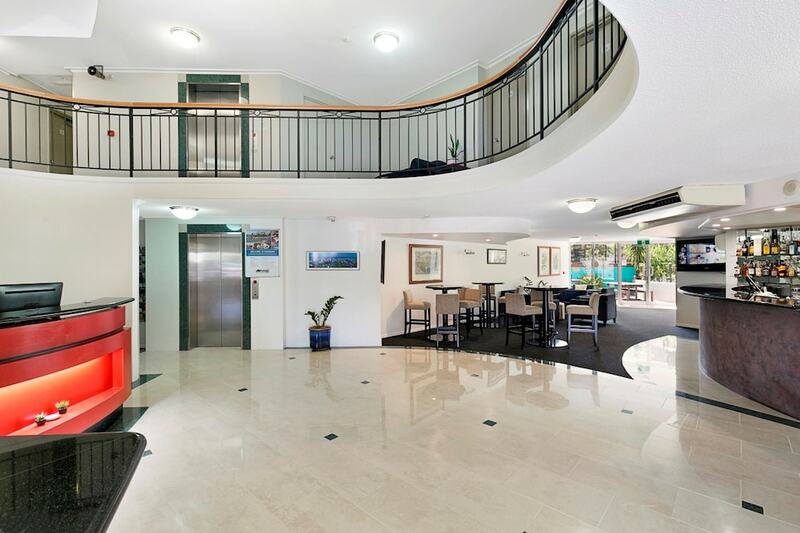 This aparthotel is 0.4 mi (0.7 km) from The Gabba and 1.8 mi (2.9 km) from South Bank Parklands. Make yourself at home in one of the 42 air-conditioned guestrooms. Rooms have private balconies. Complimentary wireless Internet access keeps you connected, and cable programming is available for your entertainment. Private bathrooms with showers feature complimentary toiletries and hair dryers. Enjoy recreation amenities such as an outdoor pool or take in the view from a garden. Additional amenities at this aparthotel include a television in a common area, tour/ticket assistance, and a reception hall. Grab a bite to eat at Boots Restaurant, a restaurant which features a bar, or stay in and take advantage of the room service (during limited hours). Cooked-to-order breakfasts are available daily from 7:30 AM to 9 AM for a fee. Featured amenities include complimentary newspapers in the lobby, dry cleaning/laundry services, and multilingual staff. Free self parking is available onsite.